One of the most detrimental and challenging pests to control on a variety of agricultural crops is False Codling Moth (FCM). This indigenous moth species has an extremely wide host range and can cause severe damage on citrus, table grapes, stone fruit and tree nuts to name a few. Export of crops associated with this phytosanitary pest is closely monitored and if a single FCM is found in a shipment, it may be rejected and sent back to South Africa resulting is severe financial losses to the South African fruit industry. Furthermore, FCM has become a regulated pest in the European union adding additional challenges. Controlling FCM is not something that is achieved by the application of one product but rather a holistic approach combining cultural, chemical and biological control, as well as dedicated and effective management practises. The inclusion of biological products in a pest management strategy is not a replacement of chemical pesticides, but rather a complimentary practice which can aid in suppressing pests. The combination of various products and mode of actions will lead to improved resistance management and ultimately extend the lifespan of chemical pesticides. An example of above mentioned is the inclusion of a granulovirus and an entomopathogenic fungus in a FCM control strategy. Not only does this strengthen the control strategy, but it fits in perfectly with an IPM approach against FCM. Cryptex, a Cryptophlebia leucotreta Granulovirus (produced by Andermatt Biocontrol) is very species specific and is only active against FCM larvae. This product contains encapsulated virus particles, which is applied just after peaks in FCM flights. 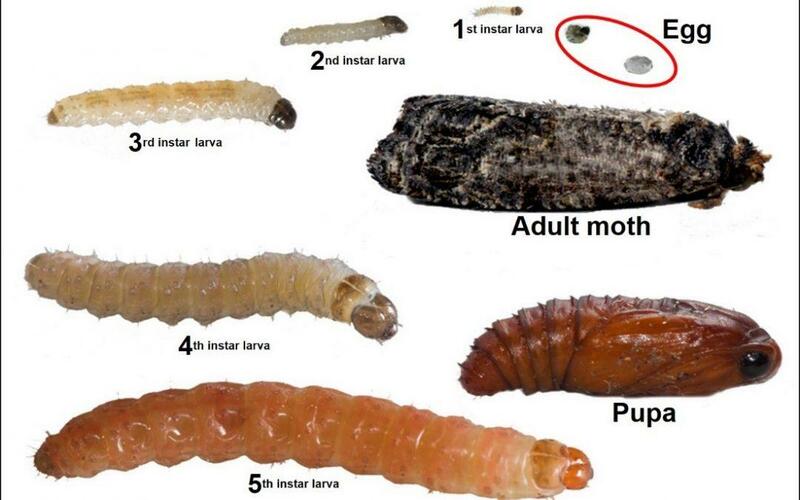 It is not a contact insecticide and has to be ingested by FCM larvae to be effective. Once ingested the alkaline conditions in the FCM midgut dissolves the protective capsule, activating the virus particle and resulting in death of the infected larvae. Buffering of the spray mix (pH 5 to 8) is extremely important, very alkaline or acidic conditions could dissolve the protective capsule in the spray tank and this will decrease the virus particle’s tolerance to climatic conditions as well as overall efficacy. Eco-Bb (Beauveria bassiana, strain R444) an entomopathogenic fungus (produced by Plant Health Products), is a broad-spectrum contact insecticide (refer advert) and a very important benefit of this product is its ability to infect FCM eggs, larvae, exposed pupae and adults. Cryptex and Eco-Bb are marketed and distributed by Madumbi Sustainable Agriculture and many trials on a variety of crops have shown that the combination of the two products results in effective and consistent reduction of the FCM pest population. This is attributed to the Cryptex and Eco-Bb affecting all lifecycle stages of FCM and therefore having a bigger impact on the total FCM population. Many commercial citrus growers have implemented this tactic in the past season, applying the biological products at their respective registered dose rates as part of a total IPM approach against FCM and this strategy has proven to be very effective.